Omni Builders has over 20 years of constructing post frame buildings such as pole barns in southeast Michigan and northwest Ohio. We offer quality and experience on every job that we do. Our reputation comes from being licensed, insured, and bonded as our main goal is to achieve your satisfaction. Call today and have a post frame structure built to your specifications. We work with a design team that will develop a building that best fits your needs. If you don’t need a new structure built, take advantage of our deck and roofing services. 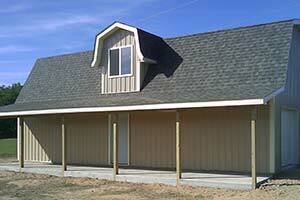 We can get you the pole barn that you need on the budget that you’re working with. No matter if the barn is built big or small, we guarantee that you’re going to love it and utilize it for whatever you need one for. Whenever you need more storage, come to Omni Builders. 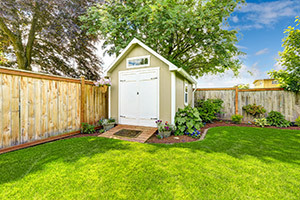 If you have an old shed that is in need of replacing, we are there to deliver and create a new quality-sized pole building that is able to store all you need it to. Maybe this is your year to put a deck on the home. Extending the indoor out will provide you with the extra space that you need to entertain family and friends. We can build a deck to your specifications, wooden or composite. We also provide general building for the exterior in the form of pergolas and garages. Maybe the garage that you have currently is not equipped with much space let alone another bay for an additions vehicle. A specialized project like that can add value to your property. No matter what structure it is on, your roof can be replaced professionally and conveniently. We do roof replacements on barns, sheds, garages, and more. We want to protect what’s inside of those spaces as most protection starts with a better roof. You will want to hire us because we are locally owned. That is what makes each job so specific and yet personal. Owner and operator, Dan Crusinberry is on every job that we do from the start to finish. We don’t cut corners in our construction and always deliver what the customer wants. We are licensed and insured. This helps bring peace of mind to our customers as they know they are getting quality, custom work at affordable prices. You’ll always get what you pay for whenever you come to Omni Builders. Not only do we focus on post frame buildings, but also garages and other exterior construction that will help add more value to the home. Call and speak with one of our pole barn builders today.